RAPID RIVER — Shirley Ann Gerou, 74, of Rapid River, passed away Wednesday, Aug. 29, 2018, at UP Health Systems in Marquette. Shirley was born Oct. 11, 1943, in Gladstone, the daughter of Ansel and Emily (St. Onge) Larson. Shirley was a graduate of Nahma High School where she participated as a cheerleader. She enjoyed numerous activities including fishing, snowmobiling, cooking, and knitting. Shirley was actively involved in the lives of her children and grandchildren. She was a loving mother and devoted wife. Shirley is survived by: son, Allen Palmgren of Escanaba; two daughters, Tammy Delke of Gladstone, Cindy Schierschmidt of Stonington; two brothers, Gary Larson of Thunder Bay, Mich, David (Mary) Larson of St. Jacques; sister, Evelyn (David) Olson of Harbor Springs, Mich.; grandchildren, Shannon, Mitchel, Chelsea, Jesse, Casey, Robert, Laura, Jennifer, Steven, John Paul, Daniel, Joseph, Patrick, Jacinta, and Bailey; four great-grandchildren, Astrid, Natalie, Emmet, and Lucan; and many nieces and nephews. Family will receive friends Saturday, Sept. 8, from 2 until 4 p.m. at the Skradski Funeral Home in Gladstone. 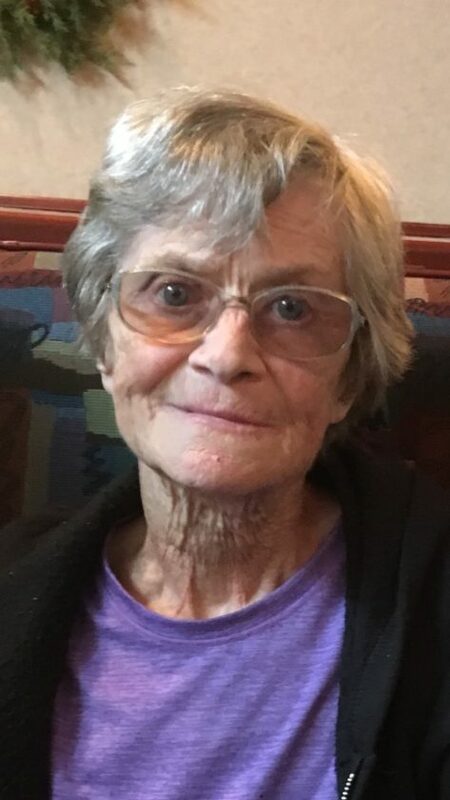 Funeral services for Shirley are scheduled for 4 p.m. at the Skradski Funeral Home in Gladstone with Pastor Bill Rafuse officiating. The Skradski Family Funeral Homes of Delta County are assisting Shirley’s family. Please visit www.skradskifuneralhomes.com where you can leave a message of condolence to the family.